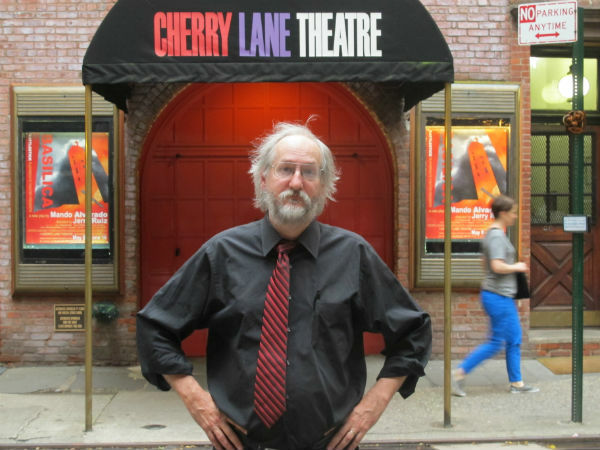 My daughter, Rain, took this panorama shot of me outside the Cherry Lane Theatre. That’s Keith and Trina at right. 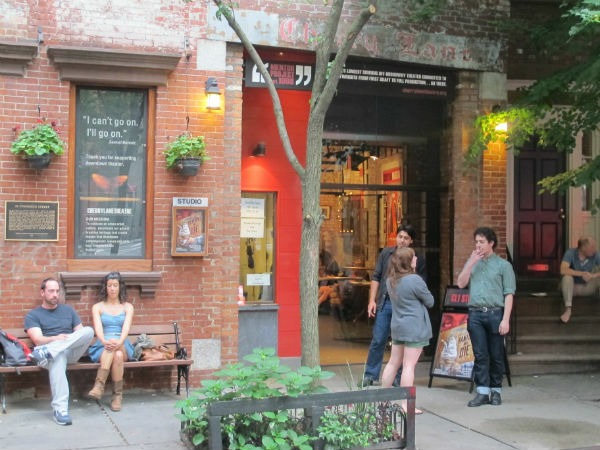 Barefoot held the reading at the Cherry Lane Theatre in Greenwich Village. Here’s why. 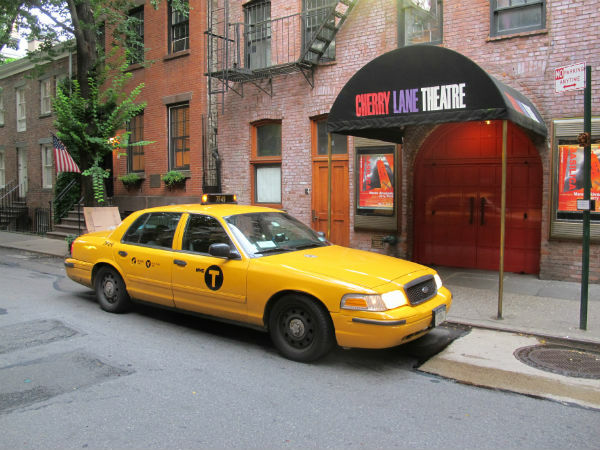 That should be the “historic” Cherry Lane Theatre, by the way. That’s me. Photo by Rain Yancey. The crowd starts to gather on a warm summer evening. The view from inside as the crowd starts to come in. 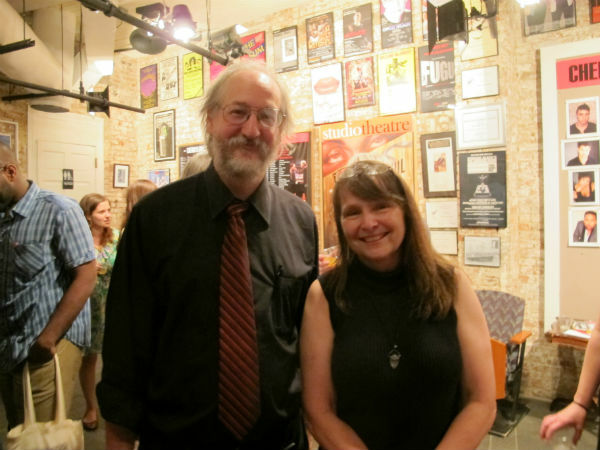 That’s me with Rose Bonczek, the director. 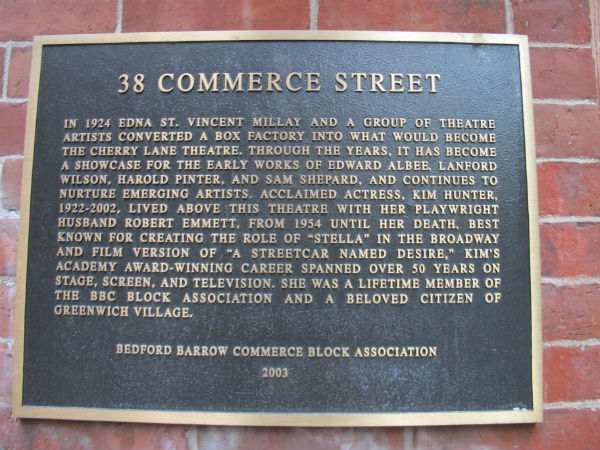 This entry was posted on June 27, 2013, 12:30 am and is filed under News, Personal, Photos, Productions, Uncategorized. You can follow any responses to this entry through RSS 2.0. You can leave a response, or trackback from your own site.